Christine and Shela‘s final project for the ECE4760 (Digital Systems Design Using Microcontrollers) class they took this fall was a Bluetooth controlled car with a dedicated remote control device. 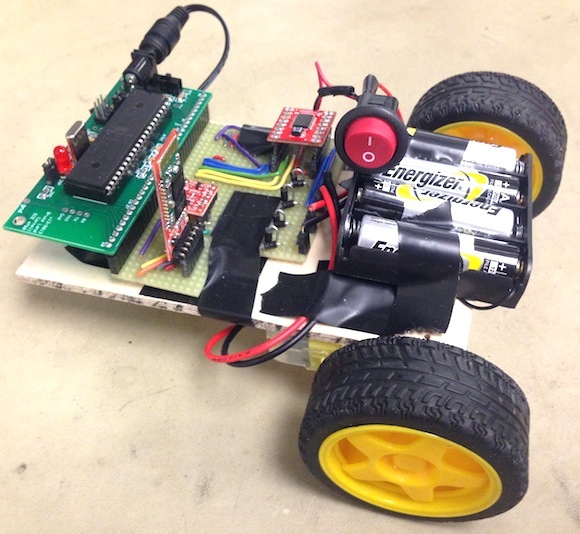 The car and the remote both uses Atmega1248P microcontrollers and HC-05 Bluetooth transceiver modules. The remote also consists of a MPU-6050 gyroscope/accelerometer module on board to sense the tilting angle of the remote. Once the two Bluetooth units are paired, the remote control device continuously sends out the tilt angle data to the car. 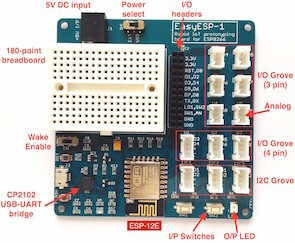 The Atmega1248P on board the car then linearly maps the tilt angles to the the duty cycles of the PWM signals controlling the motors, thus varying the speed according to the tilt angle. Based on the direction you tilt the remote, the car will also move to forward, backward, left and right directions. Watch the car in action below.